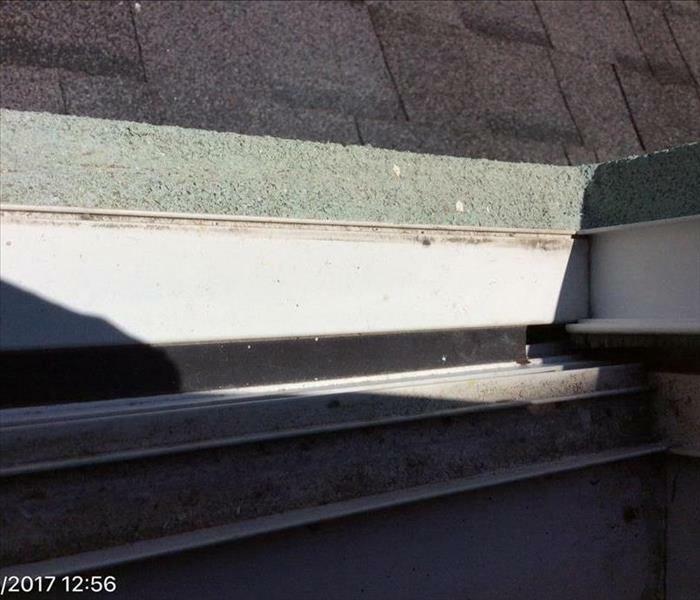 This home sustained pretty significant damage due to an aging gutter flashing failure. 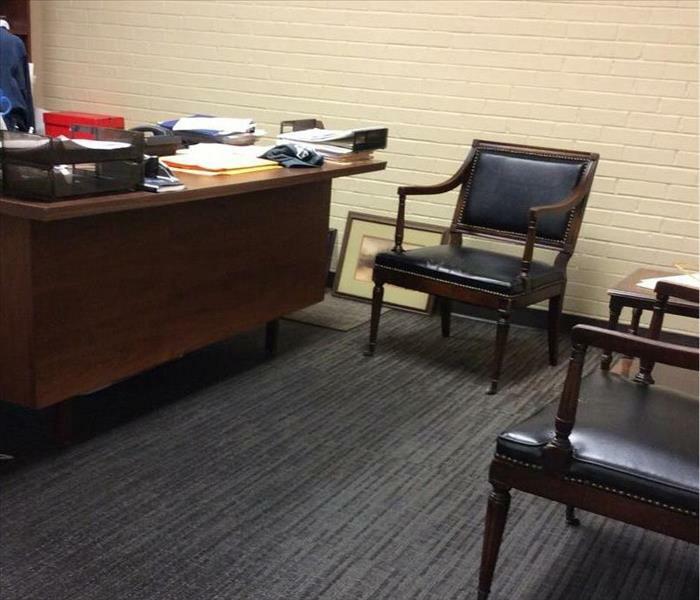 This family was on vacation only to come home to a mess. 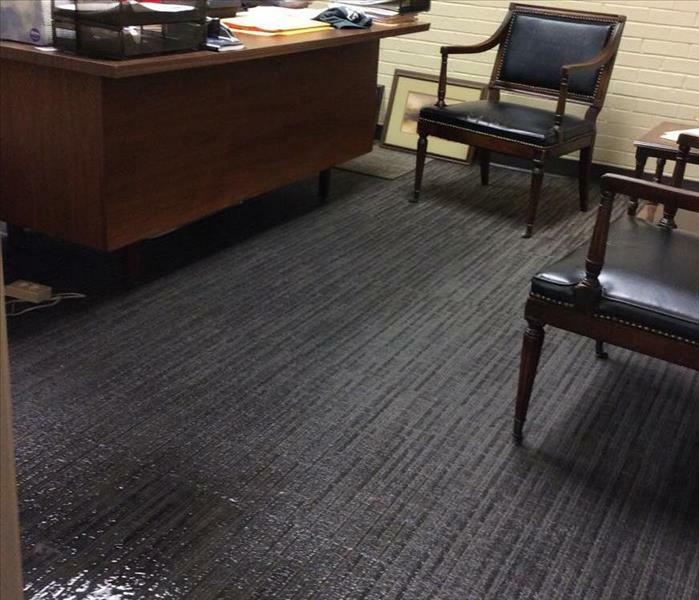 Team SERVPRO was on the job within hours. We take pride in making sure that every crack and crevasse in you home or business is properly inspected and treated. 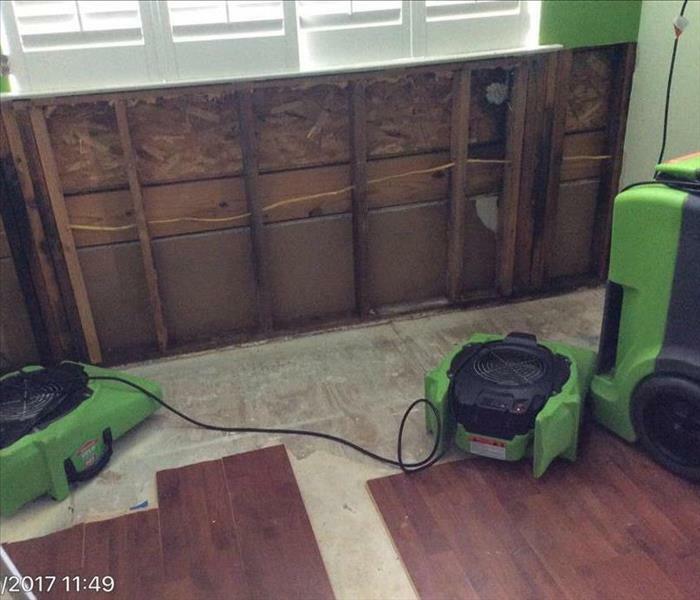 As seen in this photo, moister was still being detected inside of this homes outer wall even though the inside seamed dry enough at first sight. This home suffered a water loss from a pesky roof lake at the chimney. Unfortunately the homes floors were a complete loss and had to be removed. To the home owners surprise, there still remained an additional layer of old vinyl flooring that had to be removed as well. 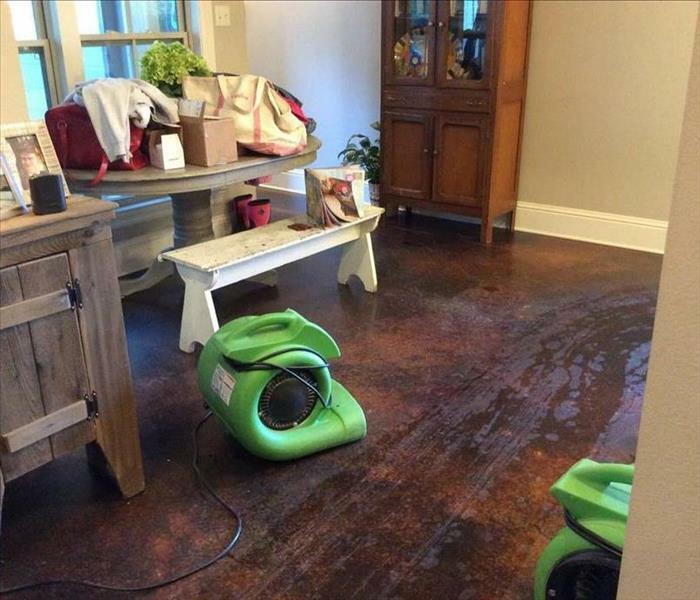 This family was counting their blessings after recently installing stained concrete floors just before an overflowing tub flooded their home. 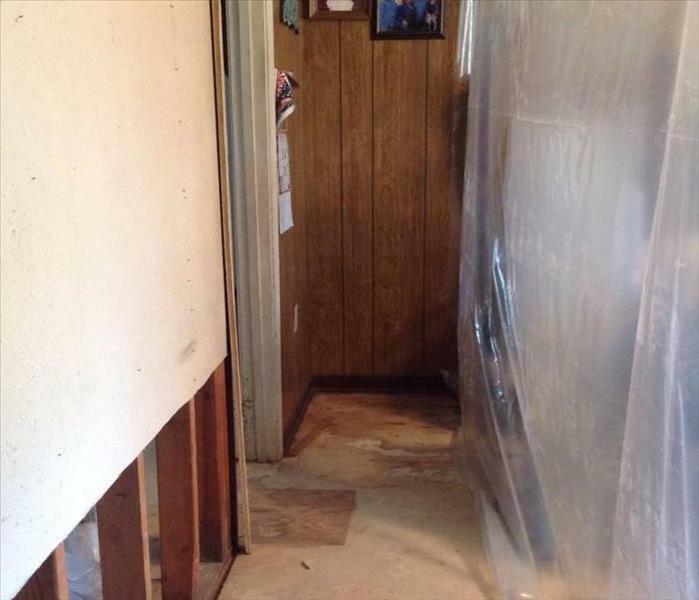 Thankfully the damage was confined to baseboards and cabinets. The thankful residents were back in their home within a week. 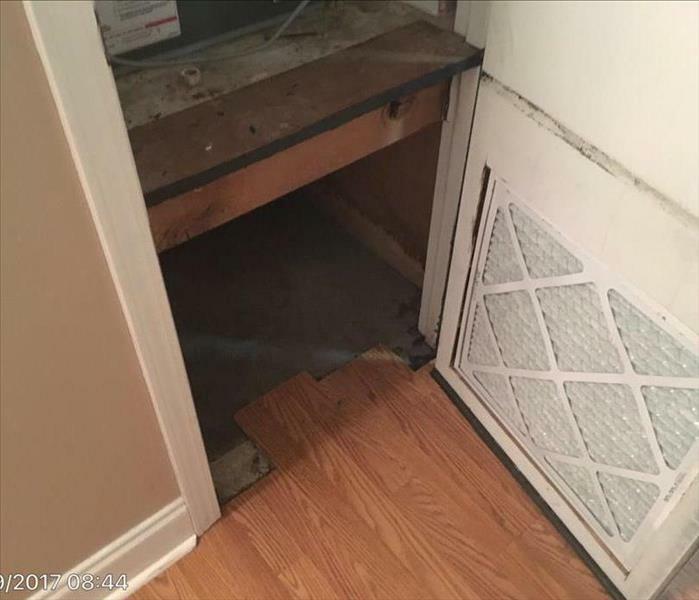 Not frequently inspecting your homes A/C closet can cause some serious damage. 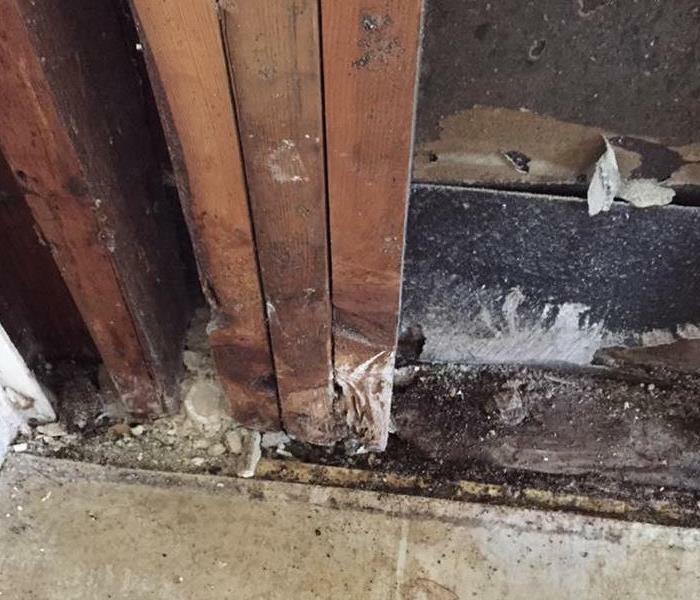 The wood support in the homes A/C closet gave way do to years of undetected water leaks. If your home is affected by fire damage these are the technicians that will "make it like it never happened." Each technician has been through SERVPRO's ECTP training program. They have the skills to restore your home or business. 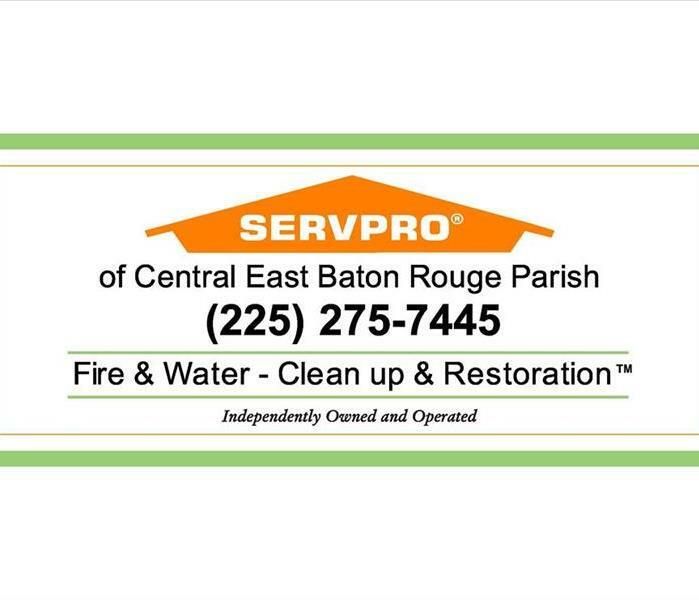 Call SERVPRO of Central East Baton Rouge Parish today. 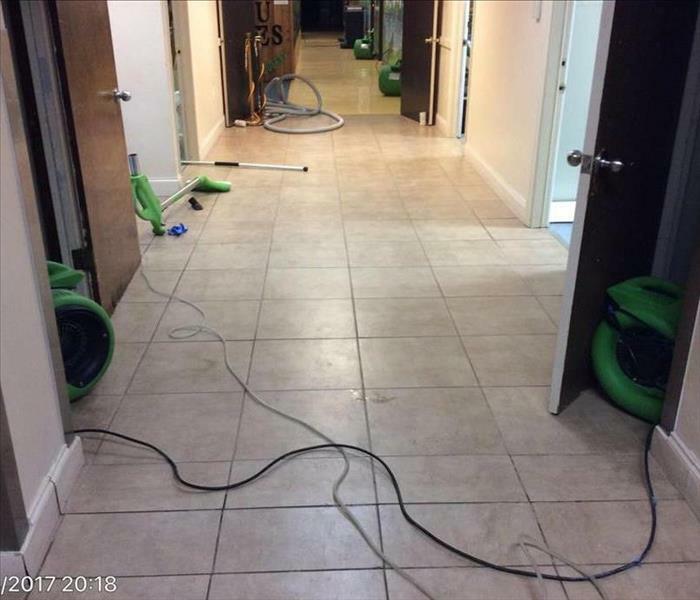 If you have a water damage to you home or business, these are the technicians who will make it "Like it never even happened." Each technician has been through SERVPRO's rigorous Employee Certification Training Program (ECTP). The ECTP program is a very detailed program which challenges the employee to know the how to properly dry your structure. In addition to this training, Timmy, and Anthony have been through additional training with the Institute of Inspection Cleaning and Restoration Certification (IICRC) The IICRC is the recognized firm that sets the standards for the restoration industry. You can trust these technicians to mitigate your home or business properly. 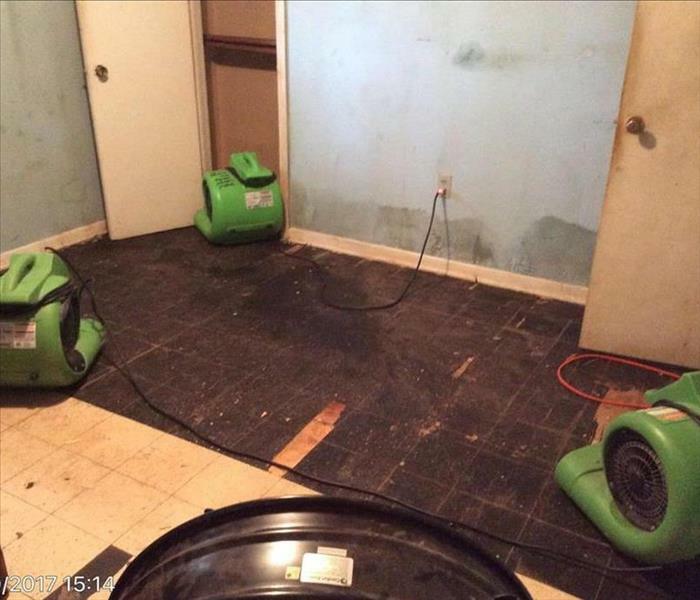 Please call SERVPRO of Central East Baton Rouge today. 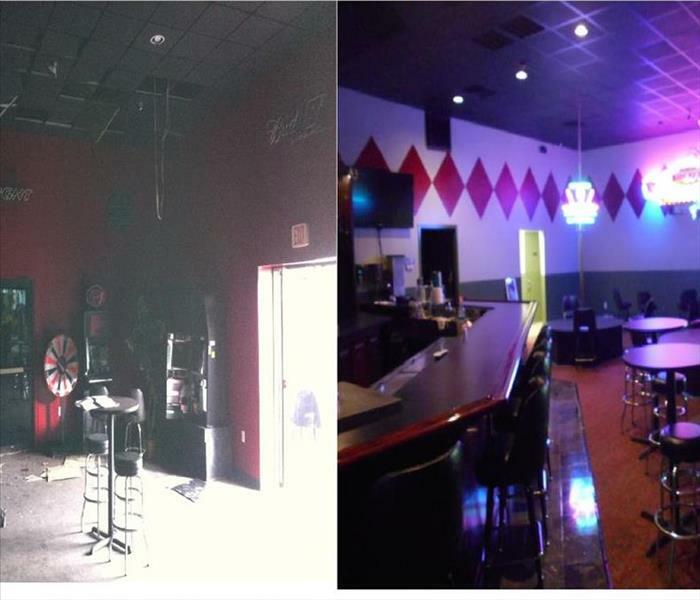 These are the before and after pictures of the Livonia Food Mart Casino. 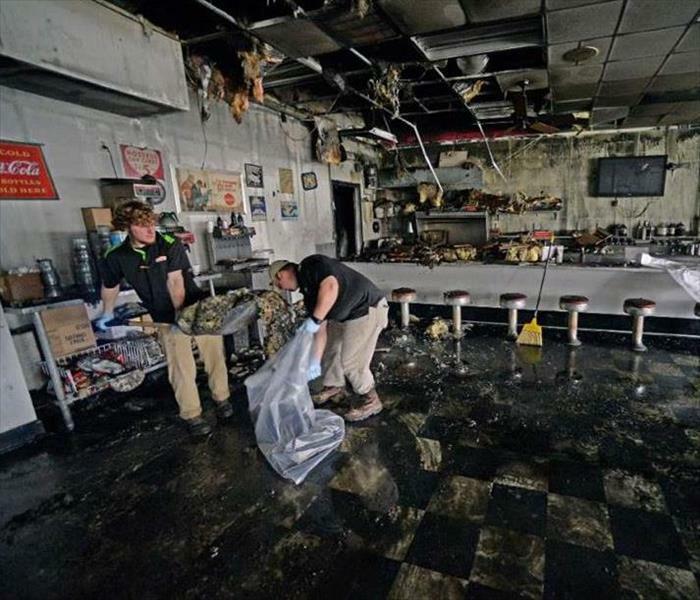 The fire started in the Subway and caused smoke damage to the food mart, casino, and Subway. 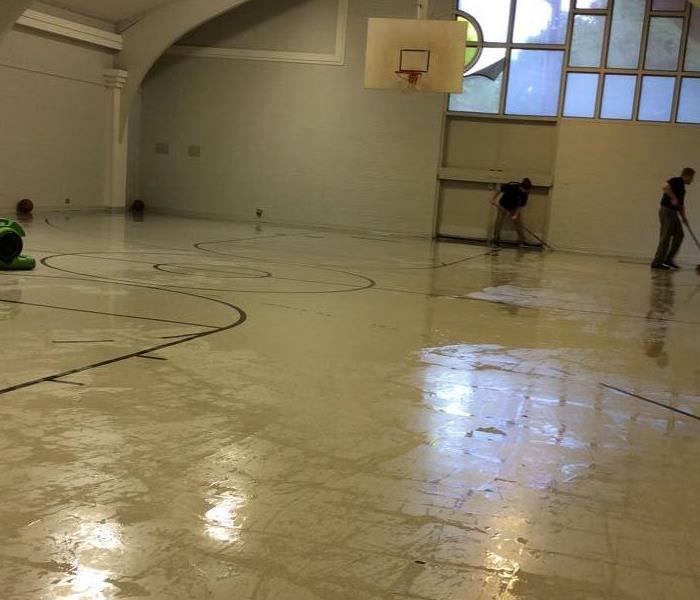 Understanding the importance to get these folks back in business ASAP, our crew eagerly jumped into action. 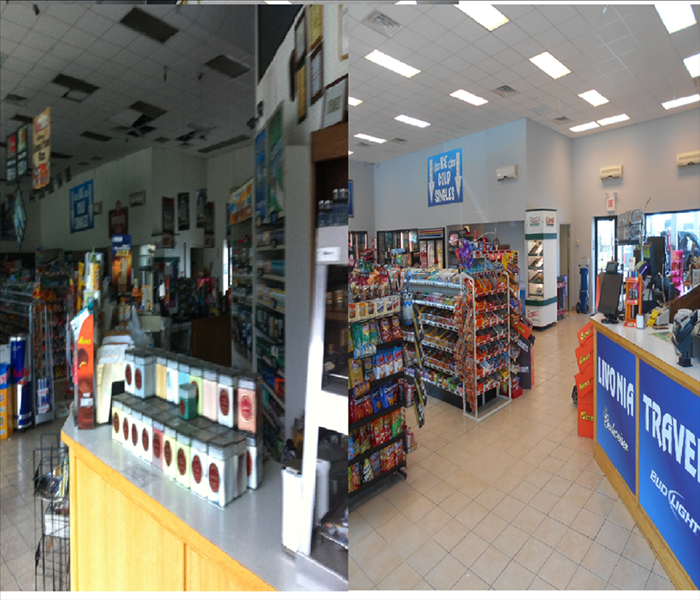 These are the before and after pictures of the Livonia Food Mart. The fire started in the Subway and caused smoke damage to the food mart, casino, and Subway. 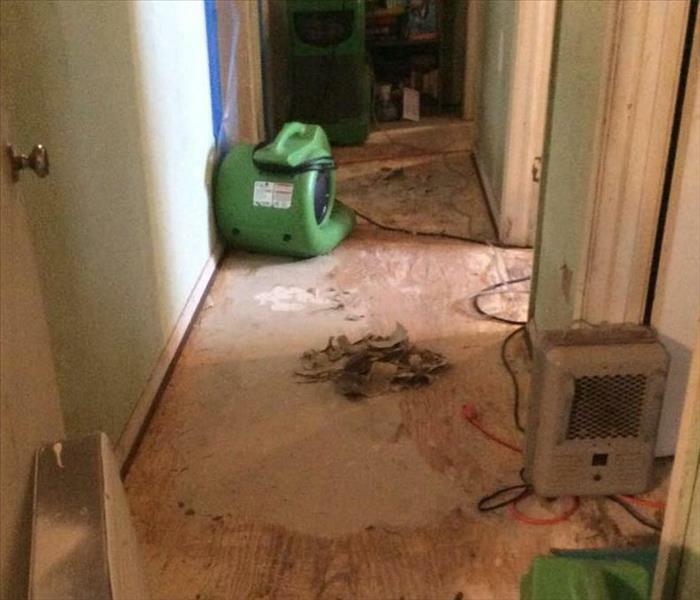 In just the matter of weeks, SERVPRO had this valuable business back in action. 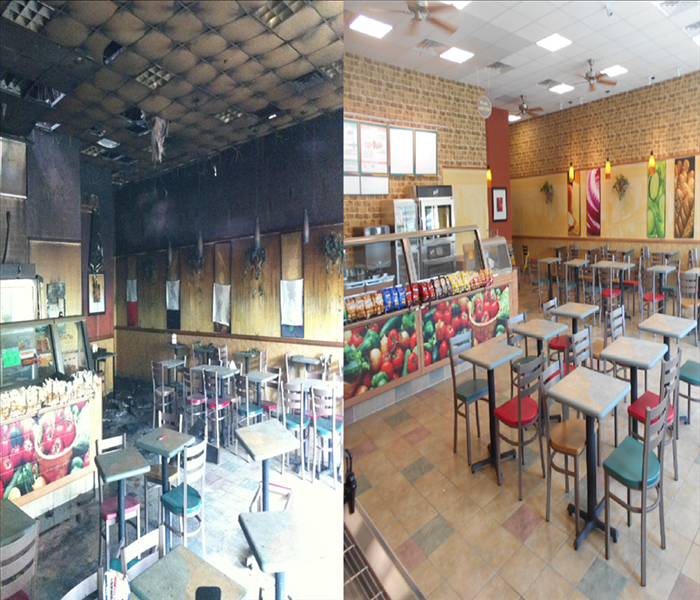 These are the before and after pictures of the Livonia Food Mart Subway. This is the starting location of the fire at the Livonia Food Mart. The food mart, and casino also incurred smoke damage. 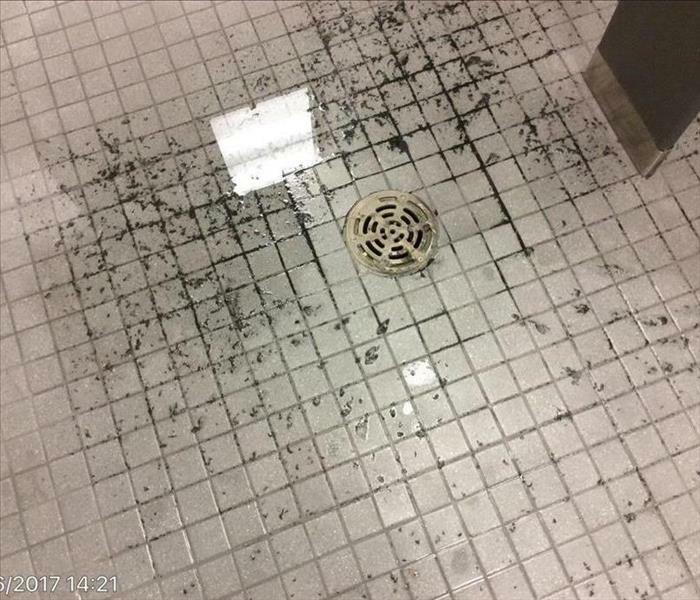 This is the loss site at an fire caused by an electrical issue. There was a great amount of smoke and soot damage thought-out the home. 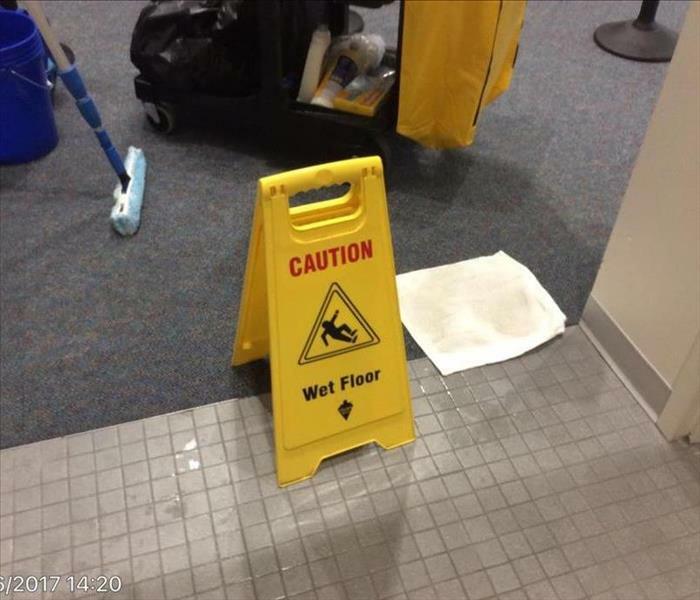 The customer was pleased with our ability to make the loss "like it never even happened." 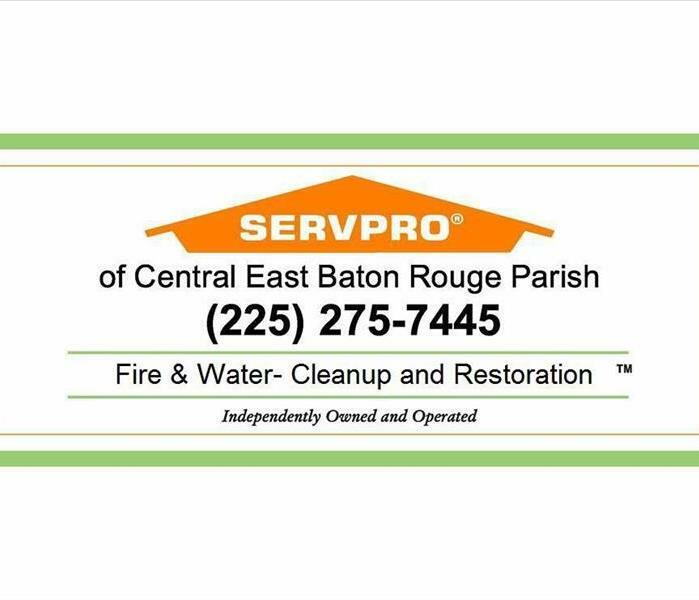 SERVPRO of Central East Baton Rouge Parish is proud to serve the residents of Baton Rouge and the surrounding areas. With many years of combined experience, our team is fully prepared to take on anything our customers have needs for.